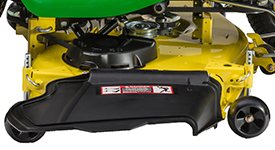 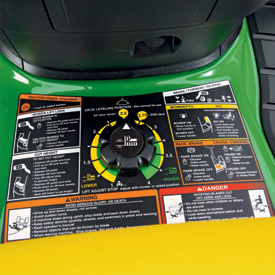 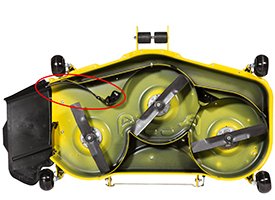 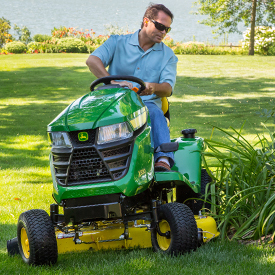 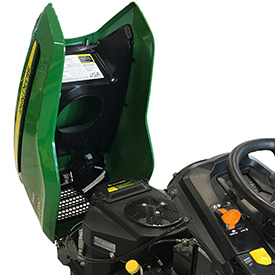 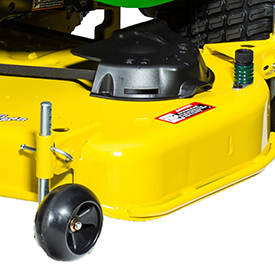 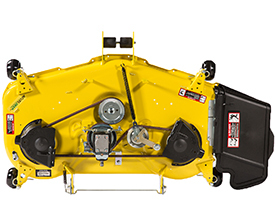 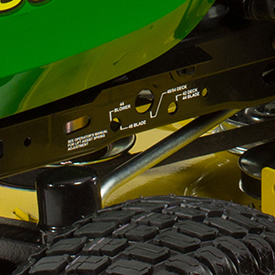 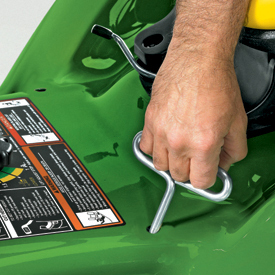 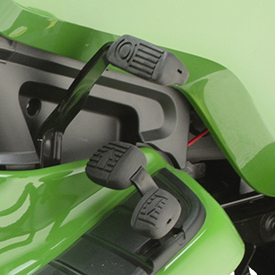 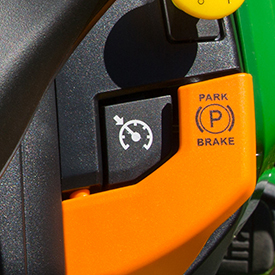 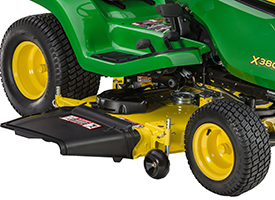 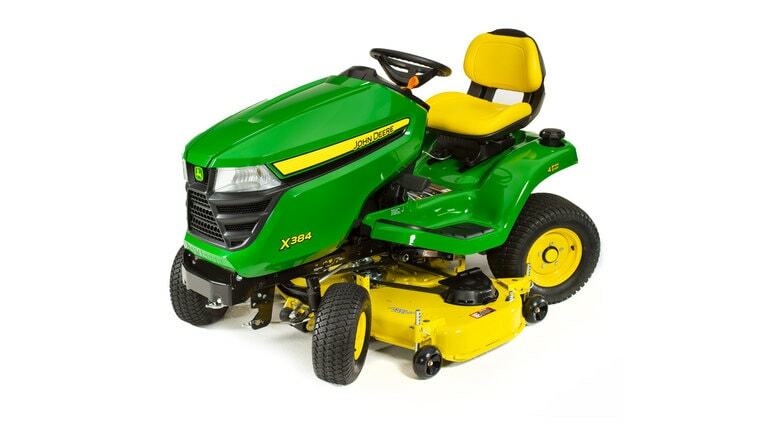 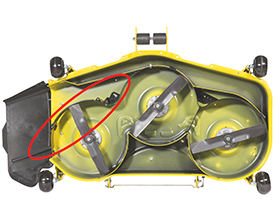 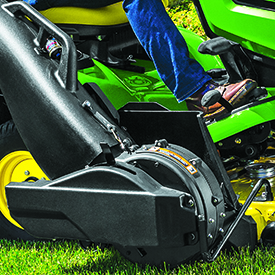 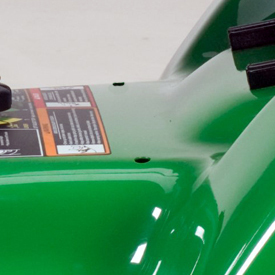 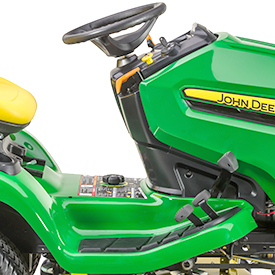 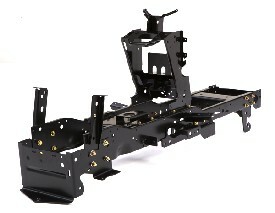 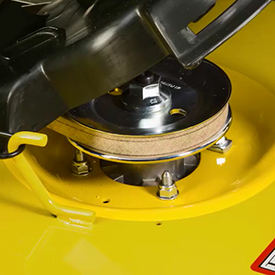 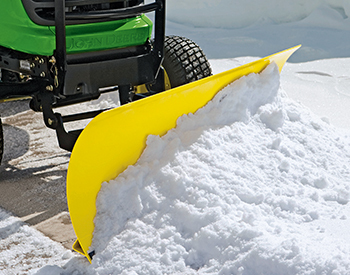 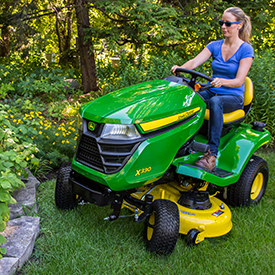 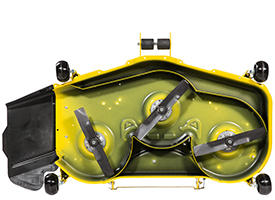 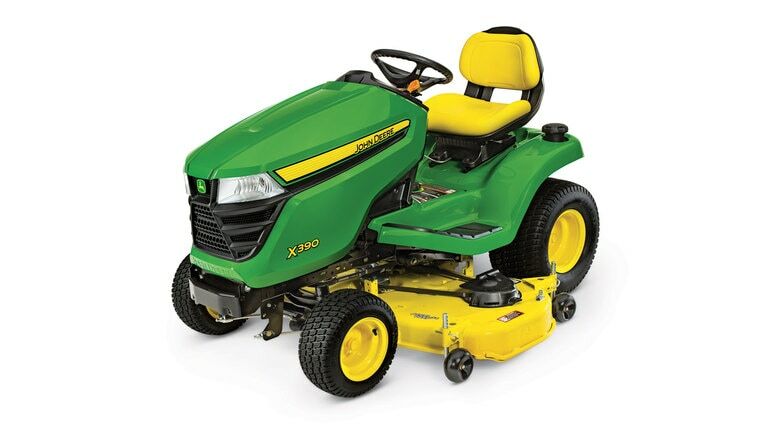 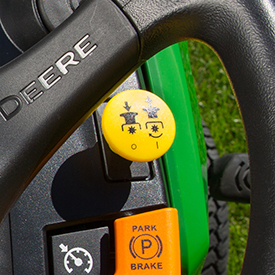 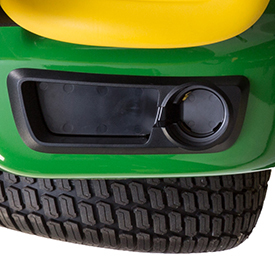 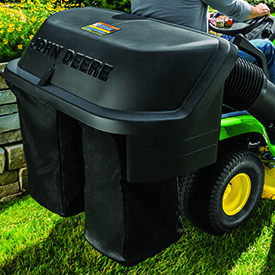 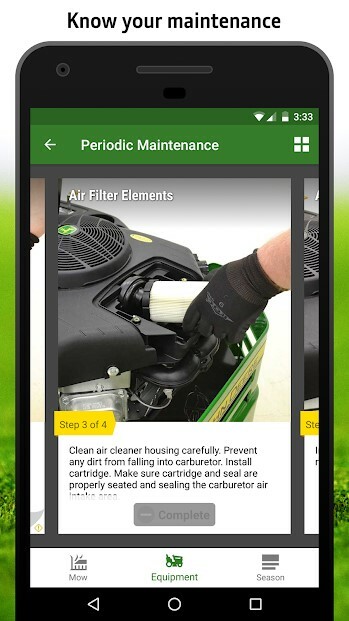 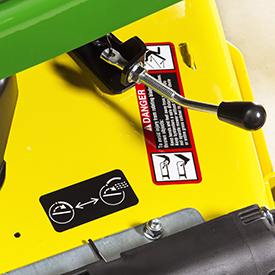 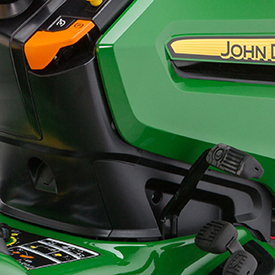 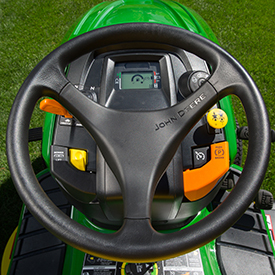 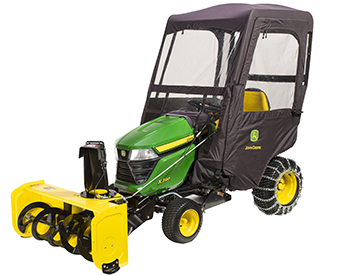 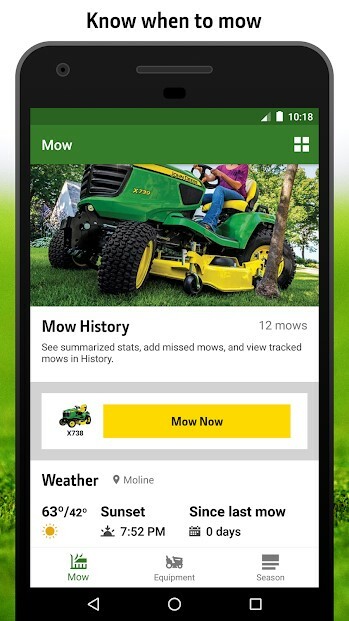 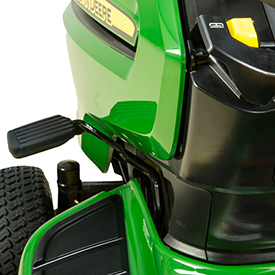 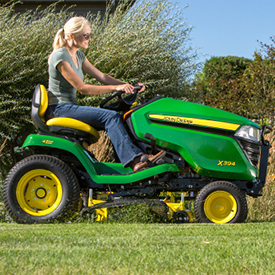 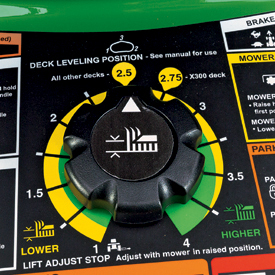 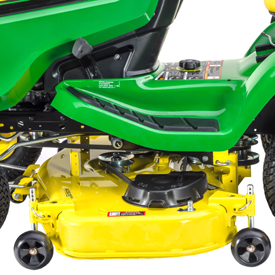 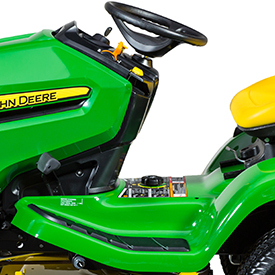 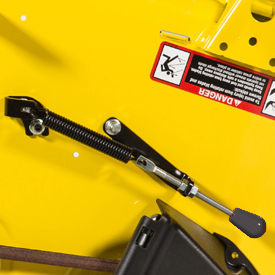 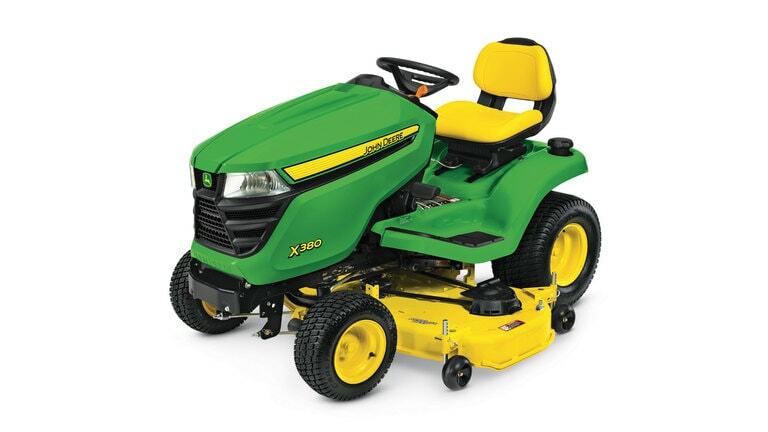 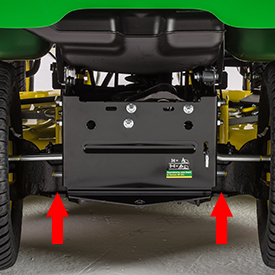 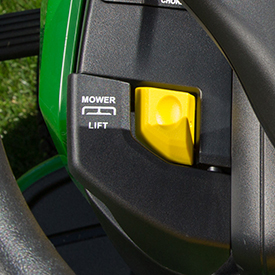 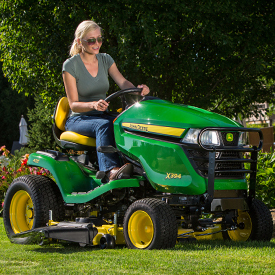 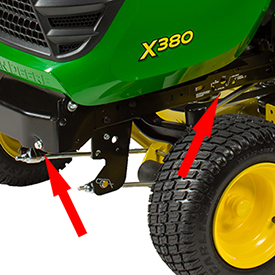 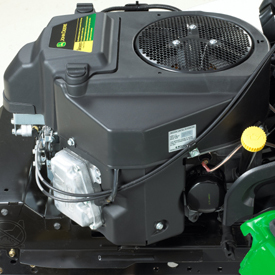 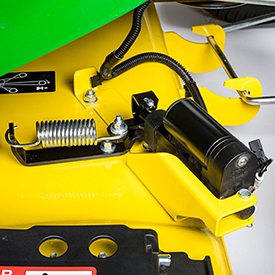 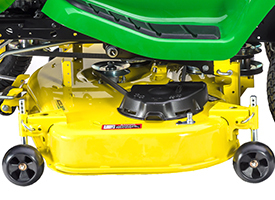 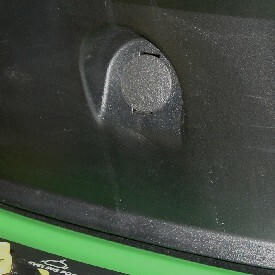 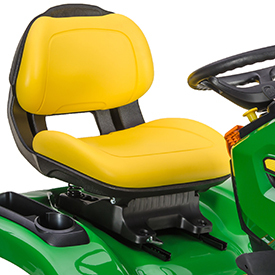 Cutting width Accel Deep™ mower deck, 48 in. 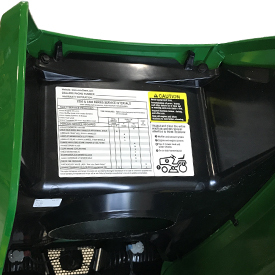 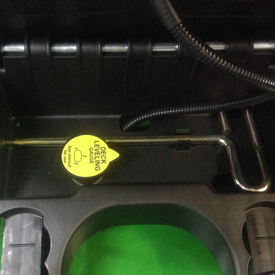 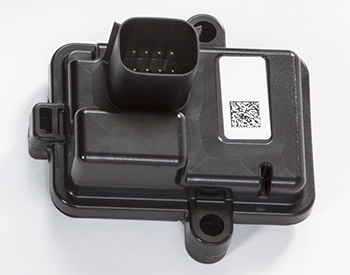 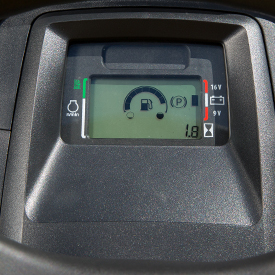 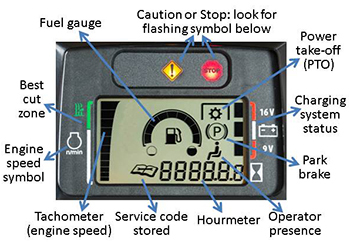 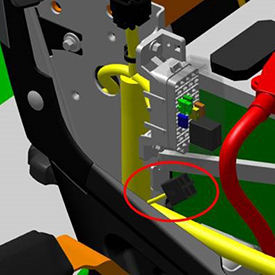 Fuel tank capacity 3.3 U.S. gal. 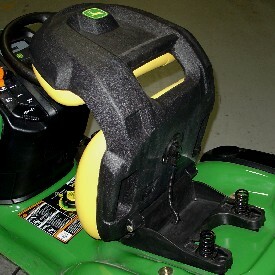 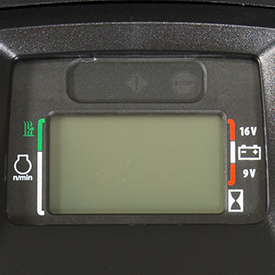 Steering wheel Large, 14 in. 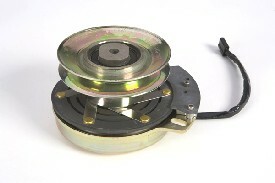 Uncut circle radius 21 in. 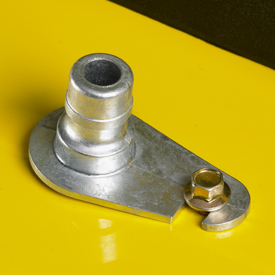 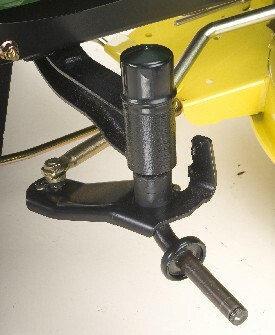 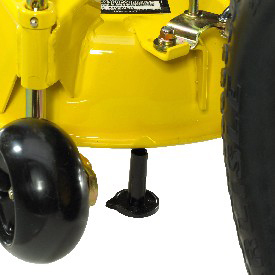 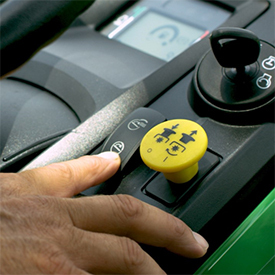 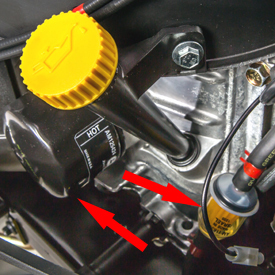 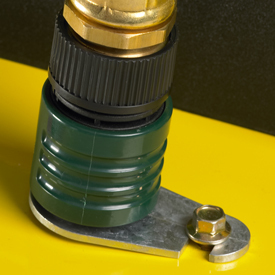 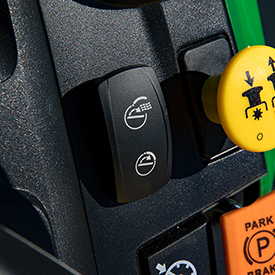 Sprayer Tow-behind, 15 U.S. gal. 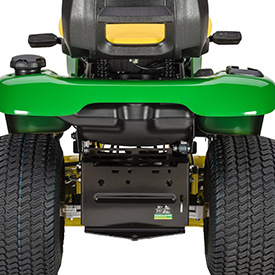 Width without mower 38.5 in.